A 40-year-old Blaine County man was sentenced Tuesday to nine and half years in prison for conviction of two felony counts of delivery of methamphetamine. Sentence for Alvaro Hurtado-Gomez was pronounced by Judge Robert J. Elgee in Blaine County 5th District Court. Elgee gave the defendant credit for seven and a half months already spent behind bars, following his arrest on June 15, 2011. According to the sentence, Hurtado-Gomez will be required to spend three and a half years in prison before parole eligibility. Once released, he will likely be deported. The Blaine County Prosecuting Attorney's Office reported at sentencing that Hurtado-Gomez has been deported twice before, once in 1990 and again 2009. The defendant's latest troubles with the law stemmed from a year-long Blaine County Narcotics Enforcement Team investigation, in which alleged drug dealers made illegal sales to police confidential informants in 2010. Hurtado-Gomez was one of nine suspects indicted in June 2011 by a Blaine County grand jury as a result of the Narcotics Enforcement Team operation. He was originally charged with four felonies, two counts of delivery of methamphetamine, one county of delivery of cocaine and one count of trafficking in cocaine. 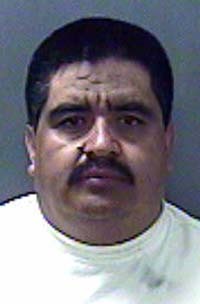 In accord with an agreement reached with prosecutors in December 2011, Hurtado-Gomez pleaded guilty to both methamphetamine delivery charges in exchange for dismissal of the cocaine delivery and trafficking counts. Hailey attorney Keith Roark, appointed as public defender, noted in court that his client will be deported once released from custody and asked for a lesser sentence of 18 months incarceration with credit for time served.